Prominent & Leading Manufacturer from Mumbai, we offer myrobalan powder. Myrobalan Powder is hydrolysable type vegetable tanning material, with high in acidity and less salt. 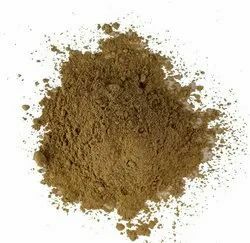 The reserve acidity in this powder gives mellowing effect and promotes the fixation of condensed type tannins. Blended with catechol tannins, this imparts light colour, fullness, plumpness and firmness to leather. This powder does not oxidize when exposed to sunlight and gives a protective coating to increase the colour fastness of the condensed tannins.